Who would have thought? A tornado touched down right in our neighborhood! Luckily, we didn't know it at the time, otherwise we would have been pretty worried. But we were totally unscathed. As you can see, not everybody was as lucky. wow. not something yo see everyday in Brooklyn. 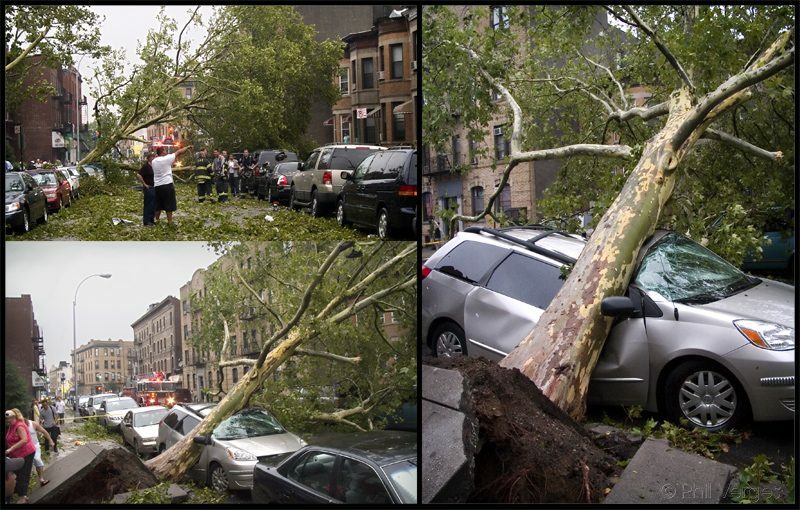 I see a car is no match for a sycamore tree.